This famous series of events took place during the last few days of December 1980. It concerns the close up sightings and interactions between highly qualified and high ranking members of the U.S. armed forces stationed at the nuclear armed airbase at Bentwaters in Suffolk, and several aerial vehicles of extra terrestrial origin. The “Rendlesham Forest Incident” is of such major importance that researchers, authors, and documentary makers alike tend to develop a kind of tunnel vision. Indeed, I have the strongest feeling that the authorities have managed the case with the firm intention of creating just this effect. Why you might ask would the persons charged with the task of supposedly keeping the alien presence here a secret deliberately publicise this case ? I can only liken it to a magician’s performance of slight of hand where he directs the audience to concentrate on one hand, while all the time the main action is taking place in the other. So what is going on in the other hand, and why have I particularly noticed it ? What makes me so different to most of the other onlookers ? There are two very important reasons. The first is that I also had a close encounter with a craft of extra terrestrial origin on 28th of December 1980. Please see “Fools Nook UFO” in “Local Sightings” for an account of this. Had my sighting been the only one away from Rendlesham Forest at this time, you would be well within your rights to say; “what’s the big deal ?” However, my sighting was not the only other one ! As you may see from my “Fools Nook UFO” report, I was shown a copy of the free newspaper, “Stockport Messenger”, just a few days after my sighting on Sunday the 28th. The whole of the front page was taken by reports from people in Hazel Grove who had witnessed a number of UFOs that same weekend. 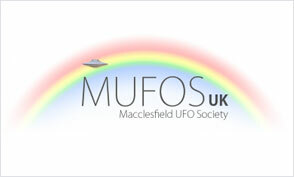 Another case in “Local Sightings” is the “Wilmslow UFO”. Just like Hazel Grove, Wilmslow is only around 6 miles from where my sighting occurred. The Wilmslow case occurred just 72 hours after my sighting. In this case, Bridget was taken aboard the craft before being returned with an obvious missing time interval. An extremely important case for me personally is the “Dawn Dale” case. This encounter took place within minutes of the “Wilmslow UFO” case ! I have known for years about the Dawn Dale case, but it is only very recently that I discovered that her encounter took place just 72 hours after my own, and less than 800 yards further down the road. I could not have been more delighted to receive corroboration that this particular area of the Macclesfield to Leek Road was such an active spot for UFO activity. Would be lovely to speak with you as just moved into the area and was guided to your website. Wonderful to meet you and your friends. I’m sure it’s the start of a long friendship. I have been provided info of your website by a friend. I live in Bramhall, Stockport. Although I have no personal sighting experience of my own, I have family members (father and brother) encounter a ufo in the North East in1978. I love to join your society and learn more, especially any local sightings and exploration. Delighted to hear from you. Wouter emailed me to let me know that you might contact me. It’s absolutely not necessary for anyone to have seen a UFO in order to join us. All that’s required is that you have a genuine interest which you have. I would love to hear about your father and brother’s sighting sometime. You are very welcome in our society and I hope that you will enjoy reading about the local sightings and more on this website. I will also send you another email soon.